San Carlino is located on Rome’s Quirinal Hill. 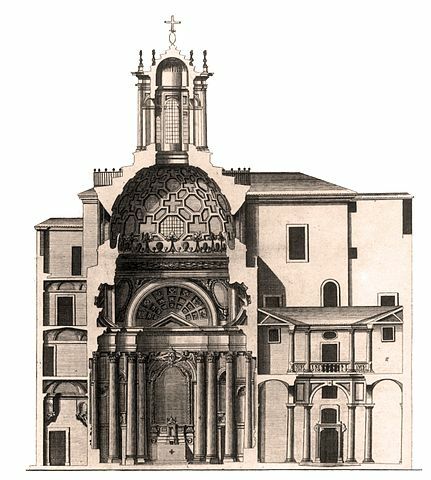 The church was designed by Franceso Borromini between 1634 and 1638, and is an important work of Roman Baroque architecture. 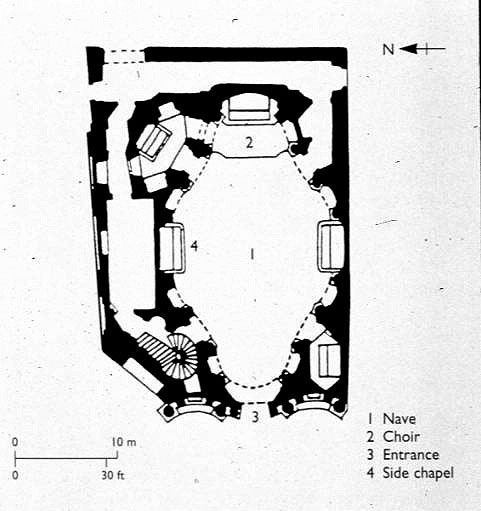 The interior of the church, shown here, is a complex play of ovals, curves, and light, coming in from the lantern above.